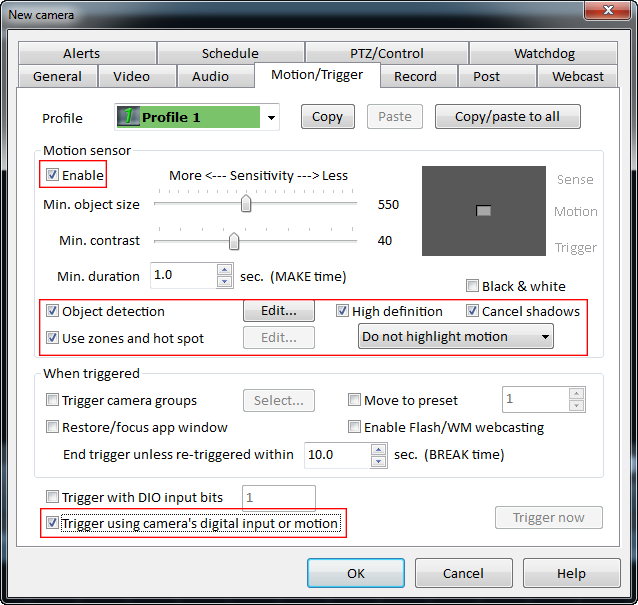 Once you have added your devices to Blue Iris, you may follow the steps below to set up motion detection and video/image recording in Blue Iris. Step 1. Click at the top/left of the software interface and go to Motion/Trigger, check all boxes circled in the images below and click OK to save the settings. Step 2. 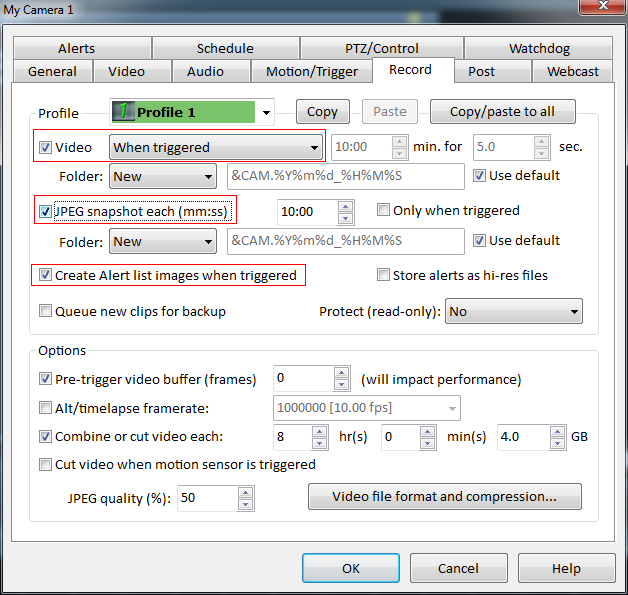 Go to Record, check all boxes circled in the images below and click OK to save the settings.